Once, there was a girl who put a man on the Moon. Her name was Margaret Hamilton. When she was young, girls didn't study computers. But Margaret was curious about space, and she was smart. Really smart. She never thought twice about being the only woman in the room. With her cool-headedness and brilliant programming skills, she was able to avert disaster and maneuver the first successful American moon landing, Apollo 11. Sponsored by: www.rebelgirls.co Use promocode REBELPODCAST to get 15% off your first purchase! Poorna Jagannathan is an actress and the producer of "Nirbhaya" ('Fearless'), the critically-acclaimed play written and directed by Yael Farber. Based on real-life events, the play breaks the silence around sexual violence and was called by The Telegraph as one of the "most powerful pieces of theater you’ll ever see.” Jagannathan gained international recognition for her portrayal of a journalist in the 2011 Bollywood film "Delhi Belly" and has appeared as series regular on HBO's "The Night Of" and Netflix's "Gypsy." She is currently a member of the ensemble cast of HBO's "Room 104," created by the Duplass brothers. This episode of Good Night Stories for Rebel Girls is produced by Elena Favilli and Francesca Cavallo, with writing and operation support by Darby Maloney and Elyssa Dudley. 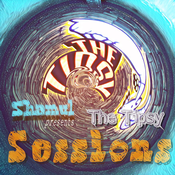 Sound Design and Original Theme Music by Elettra Bargiacchi. Once, there was a girl who loved to swim. Her name was Yusra Mardini. She was born in Damascus, Syria, a country long gripped by war. When her home was destroyed by a bomb she knew she had to leave the country, so she and her family fled by way of a boat filled with too many refugees. When the motor broke down, she and her sisters became heroes, swimming and pulling the boat to safety. In Germany, Yusra found glory as one of the first refugee teams ever to compete in the Olympics. Sponsored by: www.rebelgirls.co Use promo code REBELPODCAST to get 15% off your first purchase! ABOUT DIANA NYAD On September 2, 2013, at the age of sixty-four, Diana Nyad became the first person to swim from Cuba to Florida without the aid of a shark cage, swimming 111 miles in fifty-three hours from Havana to Key West. In the 1970s, she became known as the world’s greatest long-distance swimmer with her open-water achievements, including a record-breaking swim around Manhattan. For the next thirty years, Nyad was a prominent sports broadcaster and journalist, filing compelling stories for National Public Radio, ABC’S Wide World of Sports, and others. She is the author of the upcoming memoir, "Find a Way," and three other books, is a national fitness icon, a talented linguist, and one of today’s most powerful and engaging public speakers. This episode of Good Night Stories for Rebel Girls is produced by Elena Favilli and Francesca Cavallo, with writing and operation support by Darby Maloney and Elyssa Dudley. Sound Design and Original Theme Music by Elettra Bargiacchi. Once, there was a girl with a wooden leg who was a master of disguise. Her name was Virginia. She loved adventure, hunting, and traveling the world. She wanted to join the Foreign Service but was denied entry; they didn't allow amputees. And so she became a spy for the Allied forces during World War II. She was really good at her job and put her life at risk many times in the name of freedom. She was even put on a "most-wanted" list by the German secret police! She went on to become one of the first women to work at the Central Intelligence Agency. Sponsored by: www.rebelgirls.co Use promo code REBELPODCAST to get 15% off your first purchase! S. Mitra Kalita is an author, journalist, and vice president for programming at CNN Digital. She leads CNN Digital's efforts to creatively share its journalism and storytelling across an ever-exploding array of platforms. She also oversees the News & Alerting, Special Projects, and Mobile & Off-Platform teams. She was previously managing editor for editorial strategy at the Los Angeles Times. During her year there, she helped latimes.com traffic soar to nearly 60 million uniques monthly, innovated new forms of storytelling and audience engagement, and connected the Times to new communities via events, new beats, translations, and partnerships. 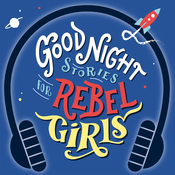 This episode of Good Night Stories for Rebel Girls is produced by Elena Favilli and Francesca Cavallo, with writing and operation support by Darby Maloney and Elyssa Dudley. Sound Design and Original Theme Music by Elettra Bargiacchi. Once upon a time, there was a nearsighted girl who could sing like no other. Her name was Maria Callas. She came from troubled beginnings but grew up to become the most famous soprano in opera. Soon, she traveled the world, known simply as La Divina, the divine one, and moved audiences wherever she went. Sponsored by: www.rebelgirls.co Use promo code REBELPODCAST to get 15% off your first purchase! This episode of Good Night Stories for Rebel Girls is produced by Elena Favilli and Francesca Cavallo, with writing and operation support by Darby Maloney and Elyssa Dudley. Sound Design and Original Theme Music by Elettra Bargiacchi. Piano transcription: Margherita Colombo Our Lady J is a musician and writer known for her visionary gospel stylings and powerhouse pianist skills. In 2013, she released her first studio album, "Picture Of A Man," to critical acclaim and since then has delivered her new testament of post-religious gospel music to sold-out crowds around the world. OUT Magazine has named Our Lady J as one of their "Out 100," and the Huffington Post honors her on their list of “transgender icons.” She is now a writer on Jill Soloway’s ground-breaking television show, "Transparent" and Ryan Murphy's upcoming TV series "Pose." This podcast is based on the New York Times bestseller inspiring millions of girls to dream bigger, aim higher and fight harder. "Good Night Stories for Rebel Girls" is an illustrated children’s book about the lives and adventures of a hundred heroic women from all over the world. Go to www.rebelgirls.co and use promo code REBELPODCAST to get 15% off your first purchase.